There may come a time when you have to admit to yourself that you don’t have enough space to store your belongings efficiently in your home or garage. You may be moving home, have suddenly acquired the personal assets of a loved one and have nowhere to keep them safe, or you may simply need temporary storage space during an extended trip or holiday. The list of various storage issues is truly endless, so for anyone who may be struggling for space at their home or business, the benefits of using a self storage facility can bring you some relief and peace of mind. A majority of self storage companies will provide you with only the very basic of facilities; i.e. units of insufficient size or reduced time periods for access to your unit, which will undoubtedly cause a major inconvenience. 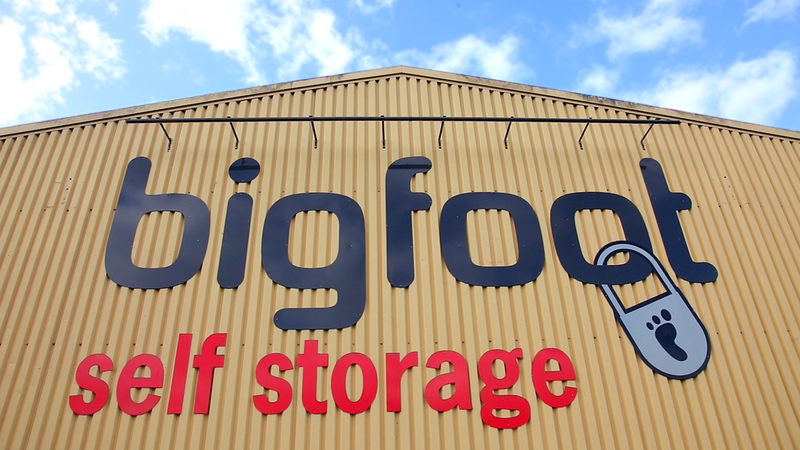 Here at Big Foot Self Storage in Stoke on Trent, we provide only the highest quality facilities, with 24-hour access via keypad security systems, round the clock CCTV surveillance, various sized units to suit all storage needs and a dry temperature controlled facility. It is all of this and more that sets Big Foot Self Storage miles apart from any other facility in the area. The dedicated and experienced team are always happy to assist you regarding any information, prices, loading, and unloading, and any other enquiries you may have about using a storage unit with us. The members of staff are more than happy to discuss with you in detail exactly how your belongings will be kept safe and secure, give advice on what sized unit you may require, and give you an idea of costs. With regards to costs, preparation is important to save you time and money when using one of our self storage facilities. Packing in advance and getting an idea of the space you will need, (exact measurements being ideal), will ensure that you don’t pay for a unit bigger than necessary. If you are able to acquire the exact dates that you require the unit for, you can reduce the risk of paying for time that you do not need. Insuring your possessions against accidental damage is a good idea when leaving items in the care of someone else. The Big Foot Storage facility takes pride and care in ensuring your belongings are kept safe and secure, but to prevent the worst case scenario don’t hesitate to contact us and discuss insuring your items with one of our members of staff, who can inform you of the various policies that are available to you.